Bloodpact will be separated in six branches/ wings in Star Citizen. Here is a look at the first two, The Astropath and Obsidian Eye wings. We know that Chris Roberts & Co. are designing the fleet/ guild experience in Star Citizen to be a more intimate size factor, and where some large gaming organization may feel this is a drawback, I see it as an opportunity. 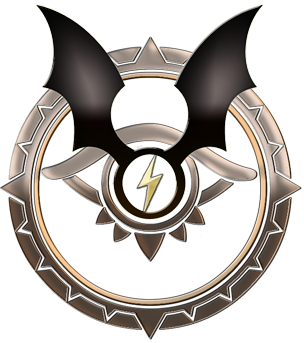 The concept of these wings is to unite players within the fleet under a smaller and more comfortable structure where people that they surround themselves with have similar goals and game play styles as themselves. The Astropath wing is the core of the fleet, the centre and headquarters of our nomadic band. Astropaths are leaders and decisionmakers, and lay out the path that we take. At times, it will be prudent to split this wing up in two or even more frontiers, to better support the needs of our other branches. Within the Astropath you will also find teams of people dedicated to the well being of our people. It's not all about strategy and the way forward, sometimes you just have to take the time to make sure that each follower is taken care of. The Astropath is always a bulwark for the fleet, and a safe home to return to for those who have been on long missions in deep space. It is not only a bunch of ships, it is a fortress. The High Guard and spymasters of the Astropath. 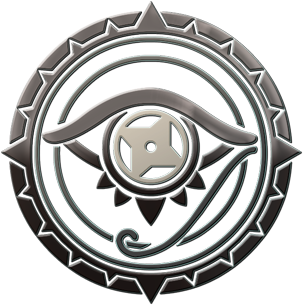 Each Astropath has a representative in the Obsidian Eye, and each representative has the absolute faith of their superior to make decisions in the field. With power comes responsibility. The Obsidian Eye is trained in the decisionmaking policies, subtlety and subterfuge of the Bloodpact way. These operatives are as often found protecting the Astropath as they are out in the field on a mission of infiltration, assassination, intelligence gathering or sabotage. When Bloodpact finds itself threatened, The Obsidian Eye is first to strike. The Obsidian Eye wing is subsidized in order to always carry the finest equipment and tools of their trade. Stay tuned for more upcoming sneak peeks! Tiba\Pestilence very nice Merc, i like what u are doing with the place!